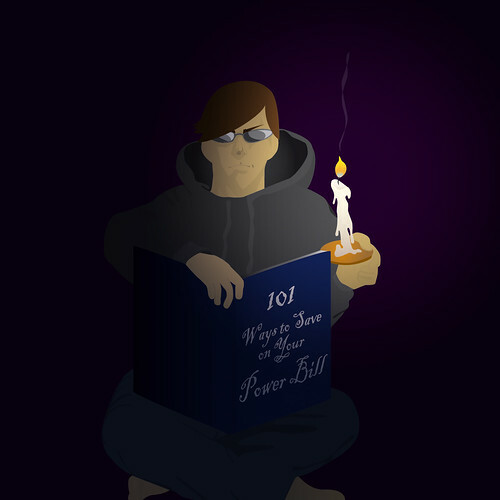 The final illustration was published in 605 Magazine, a new Sioux Falls magazine for young adults. After seeing it in print, there are things I would do differently, but that’s the way it goes. And if I’m asked again to contribute, I’ll have a more streamlined process and know what tweaks to make the next go-around. 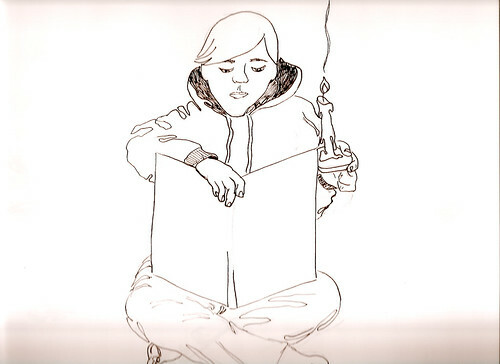 Working on an illustration to contribute to a local project. The theme is, obviously, about the economic downturn. These are my initial sketches. I may post more later as they develop more substantially, or I may wait until the final design has been published. I know you’re curious, so I’ll just go ahead and answer some of your questions now. Yes, that is a line drawing of the back of a car. I think the wheels give it away. Yes, the girl’s left hand is huge. She feels self-conscious about it, so…thanks for pointing it out. 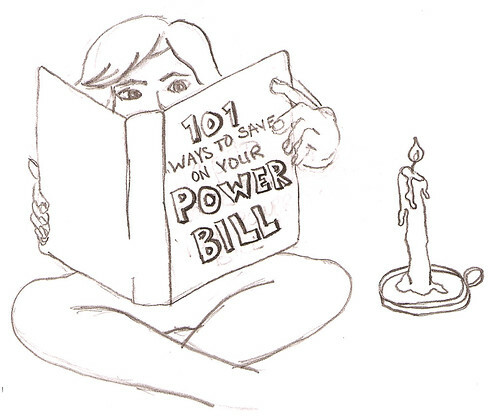 No, that candle is not floating. Yes, I realize that by having a “No Right Turn” sign, it makes one assume there is no way to recovery. After sketching this, I thought a “Rough Road” sign might translate better. No, that woman has no torso and yes, her arm connects to her ear. 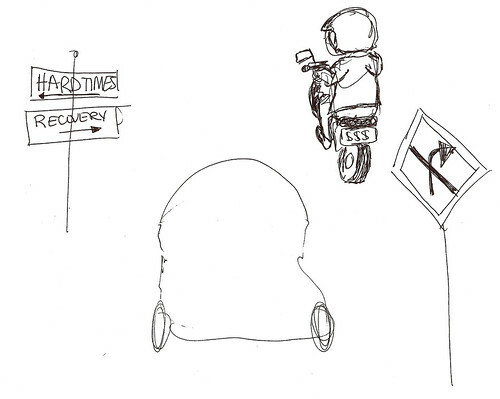 Yes, the moped dude’s anatomy is loosely based off my mental image of someone I know. No, I won’t tell you who. No, that awkward-looking crotch will not make it to the final illustration. Shucks. Yes, those are my husband’s legs. But *he* has feet. 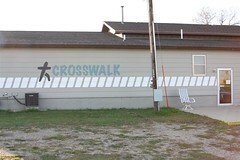 My hometown Youth for Christ organization asked me to create a graphic for their new building, called “Crosswalk”. They wanted something that was more of the intersection crosswalk, than overtly Christian but also hoped a cross could be incorporated. I came up with the graphic you see on the building. One is facing the highway and the other is facing the parking lot. A few volunteers painted it by hand this weekend, and did an excellent job if I do say so myself. 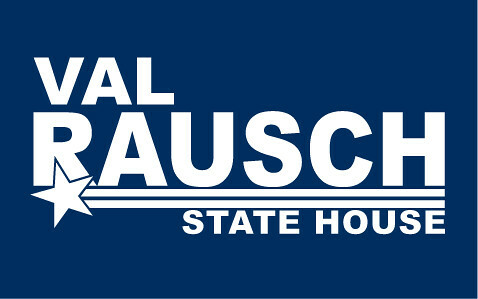 My father-in-law is up for re-election and wanted a logo boost and, seeing as we’re related and I’m a designer, I was perfect for the job and glad to do it. Above is actually what I put together for a yard sign – the actual logo is in that navy blue but I think this looks nice too. There’s another version that has “re-elect” and Val’s photo included, but of course, as a yard-sign, it wouldn’t have worked quite well. It’s saved for other pieces. I was honored to do the project and am proud of the results.